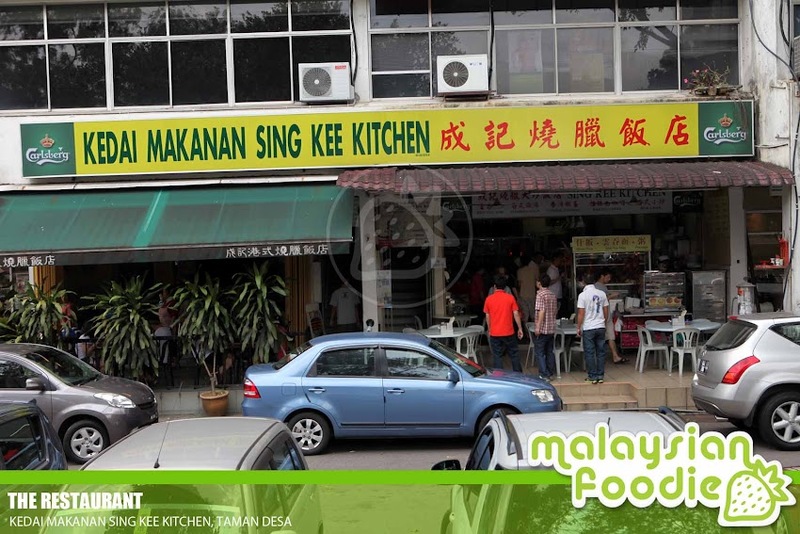 Sing Kee Kitchen is one of the places we decided to go for a breakfast since a popular place for its bbq meat among the residents of Taman Desa. 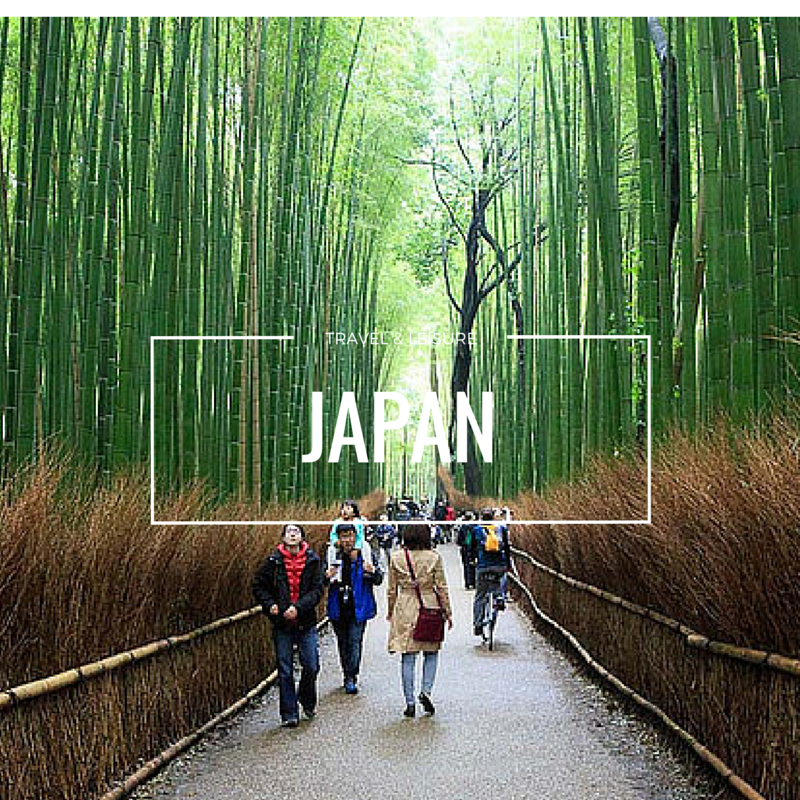 The shop is simply packed and they do have a variety of the delightful Roasted Duck which the smell of it had made me hungry. BBQ pork wanton noodle is one of the order we made. 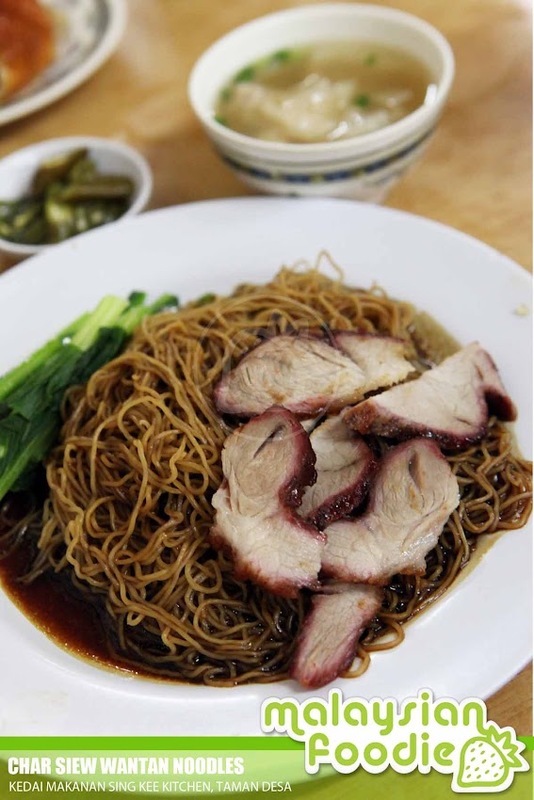 The char siew noodles is nothing much to shout about and the noodles as well as the char siew appears to be quite dry. It is nothing too special about it and noodles were not springy enough as well. 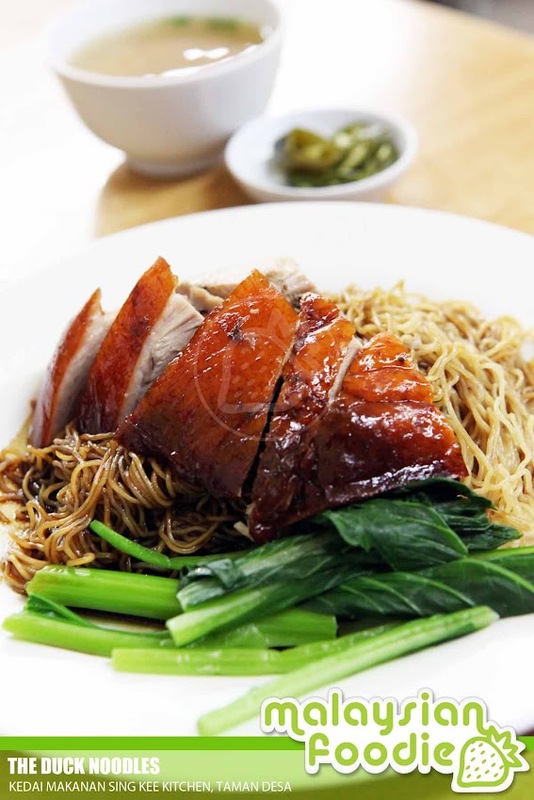 Calling up next is the Duck Noodles where the duck meat appears to be tender and the skin is crispy and marinated just right. As for the noodles, it is just normal and there is nothing to shout about it.